Condition: New: New: A brand-new, unused, unopened, undamaged item in its original packaging (where packaging is applicable). Packaging should be the same as what is found in a retail store, unless the item is handmade or was packaged by the manufacturer in non-retail packaging, such as an unprinted box or plastic bag. 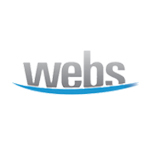 See the seller's listing for full details. 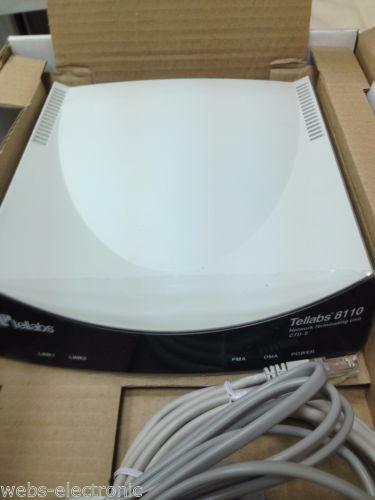 Brand: Tellabs MPN: CTU-S G.703 Model: CTU-S G.703 Network Connectivity: Wired-Ethernet (RJ-45), Wireless-Wi-Fi 802.11a, Wireless-Wi-Fi 802.11ac, Wireless-Wi-Fi 802.11b, Wireless-Wi-Fi 802.11g, Wireless-Wi-Fi 802.11n Tellabs 8110 Network Termination Units CTU-S G.703-220-240 AC Tellabs® 8110 Network Terminating Unit (CTU-S) is a Network Terminating Unit (NTU) that uses ETSI HDSL-based technology. 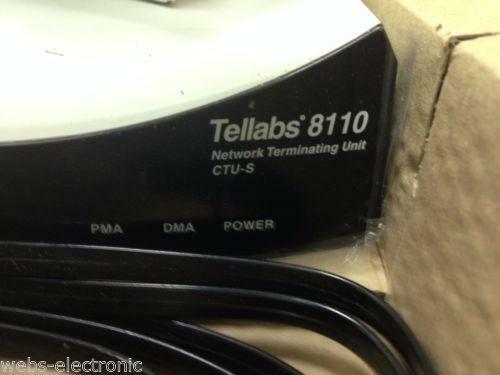 The Tellabs 8110 NTU (CTU-S) has a maximum symmetrical data rate of 4,544 Kbps and it has AC, DC and remote power feed options.